I offer this as evidence that garden fairies may indeed be responsible for unexplained happenings in my garden. 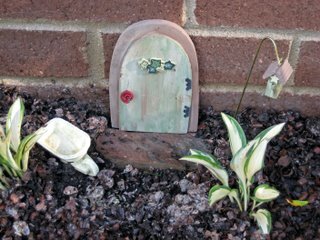 I found this door, complete with a stone stoop, birdhouse on a shepherd's crook, and little tiny wheelbarrow in my miniature garden this morning. I had merely gone out this morning to inspect the gardens and decide what I would do today. I surely did not expect to find this! 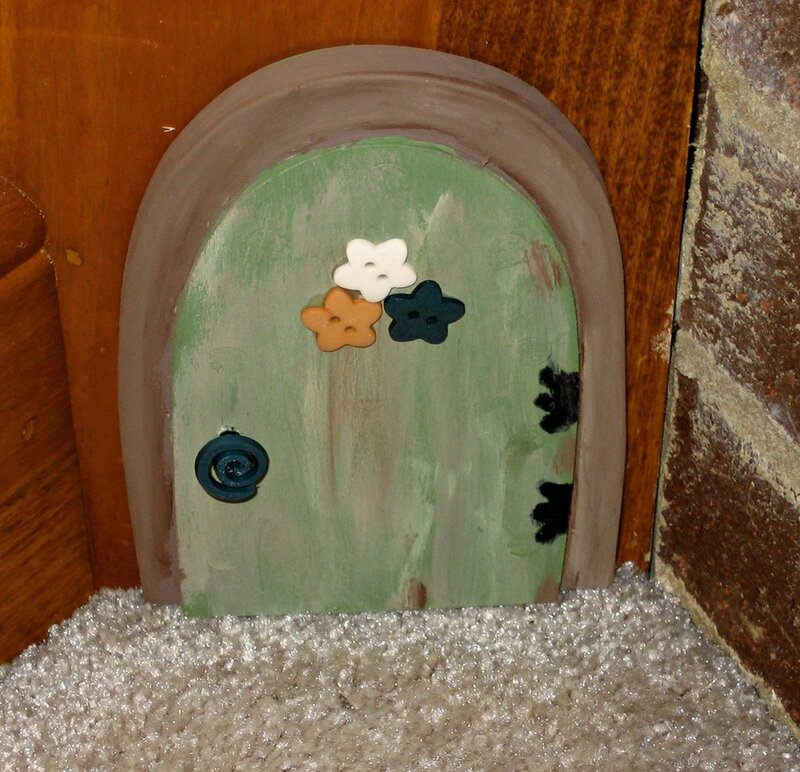 What else could this be but a fairy door? 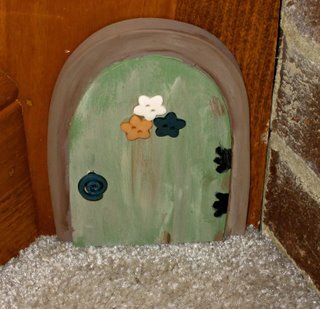 Then, when I sat down to write this post, my eye was drawn to a little corner between the fireplace hearth and wall, and can you believe it, the faires also have a door INTO my house! I feel the need to be extra vigilant inside, as well as outside, or there is no telling what might happen or what might disappear! Tombstones? No way! Little doors, they are. To another world! I love your imagination, and the doors are fabulous. I might just have to get one. To believe in fairies is a gift that I will never give away. Do you grow the kind of mushrooms that will make me small enough to fit through the door? Amazing!!! I think my garden needs some fairies. Maybe if I leave them a wheelbarrow and a teeny tiny hose they'll weed and water.